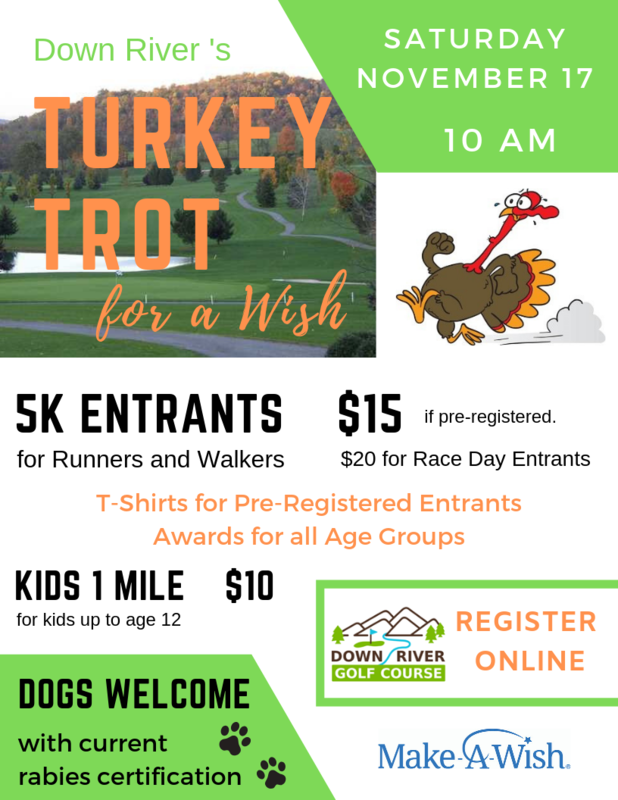 The 5K (3.1 miles) RUN/WALK will wind through the cart paths of the Down River Golf Course and finish at the Clubhouse. T-Shirts will be available for purchase on the day of race on a first come first serve. Awards to the top two male and female finishers in specific age groups. This event will be helping the MAKE-A-Wish foundation grant the fondest wishes to children who have been diagnosed with a critical illness. Would you like to sponsor this amazing event?